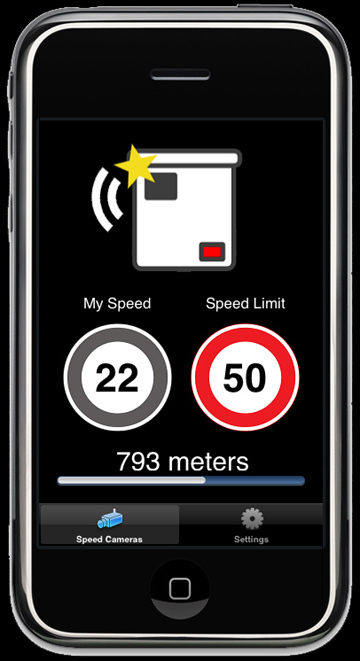 Speed Cameras is a new application for iPhone that alerts you in real time when you approach a speed camera, a red light or a speed trap, either by car or by motorbike. 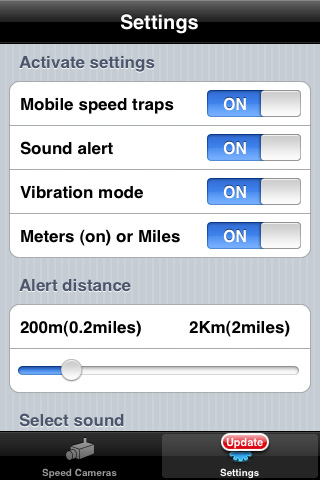 Speed Cameras utilizes the GPS capability of the iPhone to calculate your speed and your location in order to alert you (image, sound, and/or vibration) when a photo enforcement device such as speed cameras or red lights cameras are approaching, and when you exceed the limit speed. 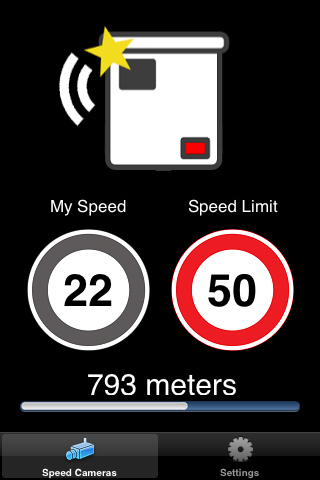 This application has a permanently updated and worldwide speed camera database. 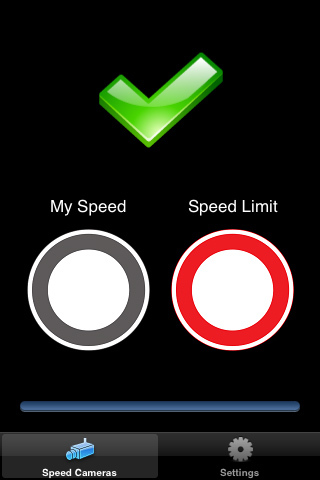 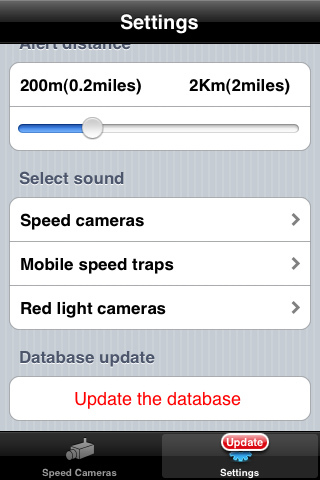 You can update Speed Cameras database on your iPhone very easily. 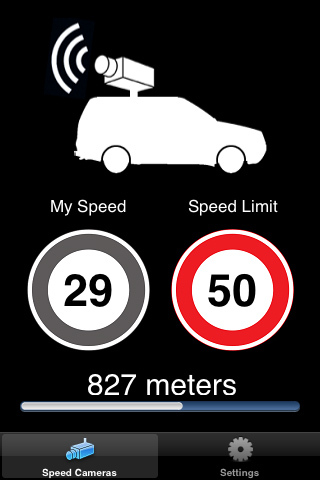 Speed Cameras is not compatible with the iPod Touch.